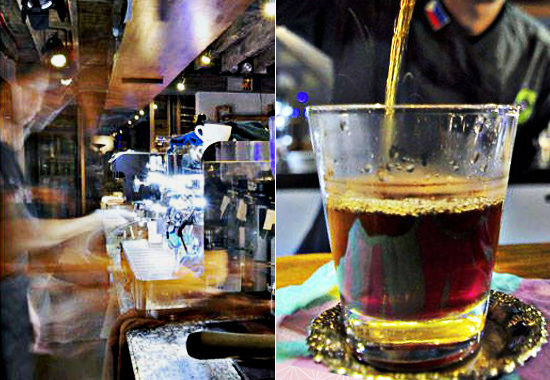 The hours will melt away in these cozy coffee places. (SPOT.ph) Caffeine fanatics in Metro Manila have become spoiled: They never run out of options when a coffee craving hits! We can only thank the third-wave culture for adding more variety to our coffee-shop list, satisfying caffeine junkies and welcoming the coffee-curious. It’s no longer a question of how to get a good brew. It’s about deciding where to go for your cup. 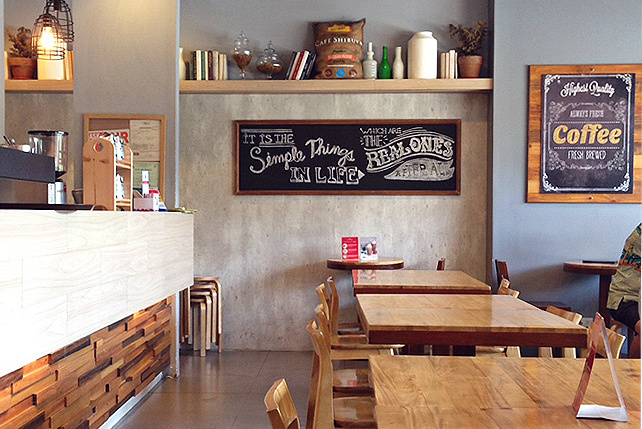 Prefer cozy and quaint spaces where you can linger over your latte for hours (read: hang out, hang out lang, a.k.a. #HOHOL)? This list is for you. The Instagram-worthy nooks in these spots are a bonus, too. If you’re in dire need of a coffee break while shopping, Lucca, located on the fourth floor of the Mega Fashion Hall, is a good hideaway. Soft yellow lights provide enough warmth for you and your brew and the noise level never gets too loud (titas who sit down for dessert or a drink never get too rowdy here). Must-tries: Specialty lattes. Coffee might not be the star of the show at Lucca but they have pretty good options. The Americano (P95) gives you enough jolt, while their specialty lattes, such as the Bianca Mocha (P125), are a welcome change from the usual brewed coffee. The Lucca Bakery branch at 4/F SM Mega Fashion Hall, Mandaluyong City is recommended; open daily from 10 a.m. to 10 p.m.
Epic's brick-and-wood interiors provide the cozy backdrop for latte lounging, while inspirational quotes and coffee-tasting notes on the walls give visitors something to mull over. Bike lovers will get a kick out of the place, too: Epic has a snap-worthy vintage bike on display. 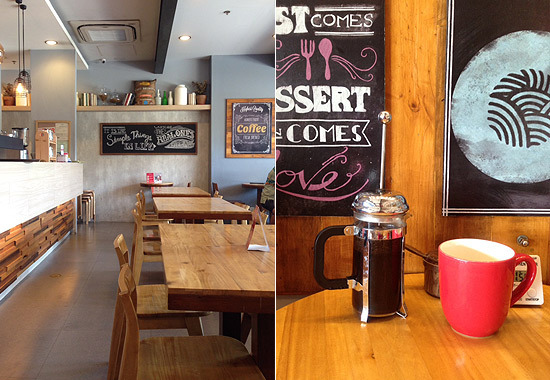 Epic Café is at 102 East Capitol Drive, Barangay Kapitolyo, Pasig City; open daily from 8 a.m. to 10 p.m. 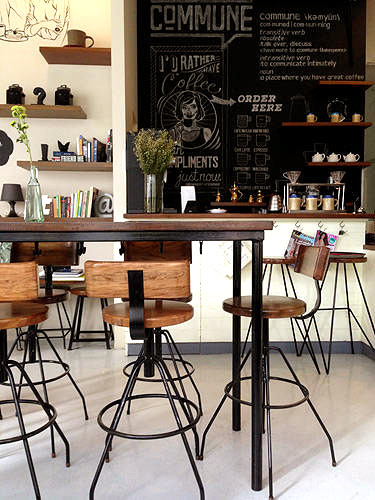 If you find yourself in Salcedo Village and refuse to clock in early or need some quiet time with your morning cup and laptop, Commune is your best bet. 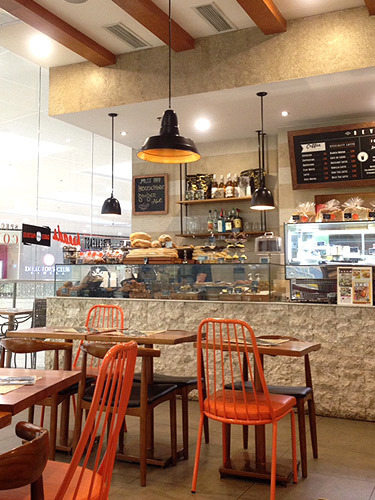 The bright, airy, and cheery interiors, coupled with their coffee, provide the perfect fuel for a peaceful respite. 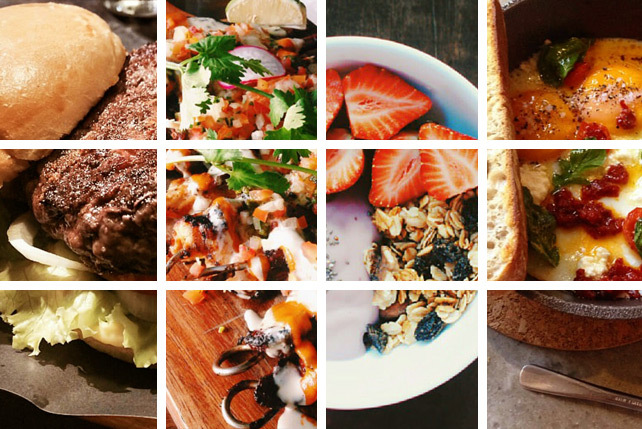 Must-tries: The Commune Blend is always a good idea. Can't resist their too-cute latte art? Go ahead and order a frothy cup. Commune Café is at Liberty Plaza, 102 H. V. Dela Costa corner Salcedo Street, Makati City; open from 8 a.m. to 12 a.m (Monday to Saturday) and 10 a.m. to 6 p.m. (Sundays). The newest outpost of Toby's Estate makes the Ortigas coffee crowd rejoice: The airy space with its signature white brick walls, outfitted with industrial elements, provides an inviting spot for leisurely lounging. The place can get packed, so if you want a quiet date with your coffee cup, early mornings are the best time to hit this spot. Must-tries: Toby's Cortado (P120) and Flat White (P150) are both crowd-favorites, as is their Mocha (P160). The Toby’s Estate branch at Robinsons Cybergate Beta Building, Ruby Road, Ortigas Center, Pasig City is recommended; open daily from 8 a.m. to 10 p.m. Snaps of this effortlessly cute café on IG may have made you curious, but Café Shibuya's cozy space and drink menu will make you stay and come back for a visit. Here, you don't have to jostle for a table or shout over too-loud music; it's a sweet space to while your time away. Café Shibuya is at UP Town Center, Katipunan Avenue, Quezon City; open from 10 a.m. to 11 p.m. (Monday to Friday) and 10 a.m. to 12 a.m. (Saturday to Sunday). 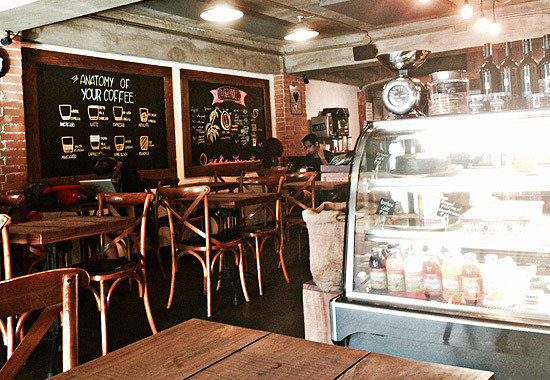 There are few spaces in the city which appeal to both book and coffee lovers. Luckily, Tweedle Book Café excels in both. Shelves full of books greet visitors: thumb through a great variety, from chick-lit selections to Gabriel Garcia Marquez classics. They even have a stack of comic books for Marvel and DC fans. Park yourself at one of the wooden tables or reserve a seat at the long, teal-colored communal table and make new friends. It's so easy to lose track of time when you're here. Tweedle Book Cafe is currently on soft opening but they also have a dining area dubbed Platform 9 ¾ which will open soon. Must-tries: If you want a welcome change from coffee, Tweedle Book Café serves chocolate drinks made from cacao by Cebu-based The Chocolate Chamber (TCC). If you're lucky, they sometimes have TCC's chocolate nib cookies in stock. Perfect for: Cozying up to a book and a drink. Please try not to spill on the pages! 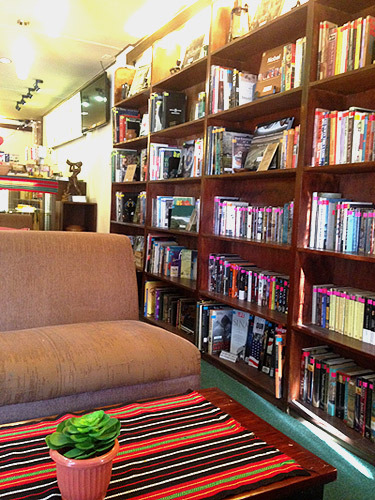 Tweedle Book Café is at 106B Scout Gandia Street, Quezon City; open daily from 10 a.m. to 12 a.m.
University students thumbing through textbooks with cups of coffee on the table might be the usual café situation at Craft, but it's also primarily a space where you can get a good brew. 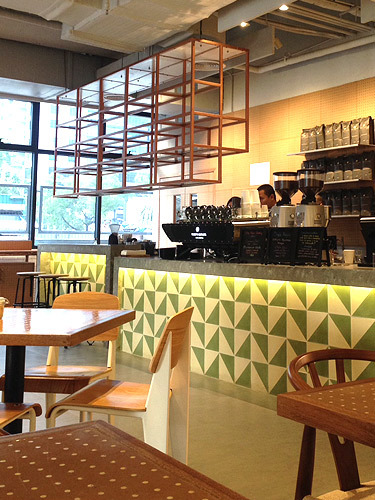 Like its New Manila counterpart, the space is outfitted with a coffee bar and interiors marked by wooden crates. The couches and long communal table add to the homey, rustic feel-a reason why you would want to come early and beat the crowd for a space on Craft's couches. The Craft Coffee Revolution branch at 88 Esteban Abada, Loyola Heights, Quezon City is recommended; open from 8 a.m. to 11 p.m. (Monday to Saturday) and 9 a.m. to 11 p.m. (Sunday). Don't be misled: The place might seem like the perfect venue for a little girl's birthday party (the café is decked out in pale pink bunny chairs and carnation-pink origami chandeliers) but this relaxed space also makes for a quiet haven for those who want good coffee and a filling meal. Check out their cakes while you're there: Their cake artists will be at work creating fondant art. 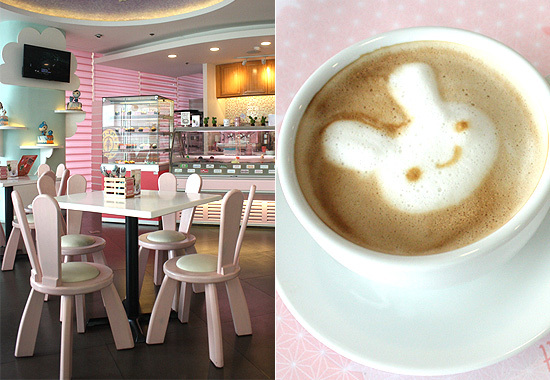 Must-try: Bunny Baker's Cappuccino (P125) is a delightful cup topped with adorable bunny latte art. Best time to go: 8 a.m. to 11 a.m. 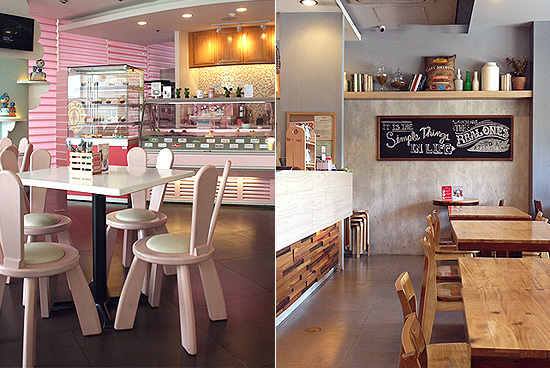 The Bunny Baker Café & Cake Studio is at Unit 301 Hemady Square, Dona Hemady, New Manila, Quezon City; open daily from 7 a.m. to 12 a.m.
Maginhawa Street in Teachers Village is a playground for university students, so it's no wonder Cool Beans is almost always filled with them taking a break from classes or chattering in groups hunched over their iced coffee (it's located just across a high school, too). But when you don't need to open school books, Cool Beans has a shelf filled with novels you can actually borrow and read while you're there. The literary selection-from Tolkien favorites to Life coffee-table books-is inviting. Make sure you try to get the best seats in the house: the couches near the book shelf. 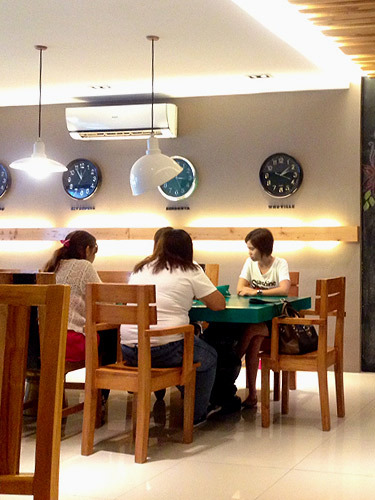 Cool Beans Library Café is at 167 Maginhawa Street, Teachers Village, Quezon City; open from 10 a.m. to 11 p.m. (Monday to Friday) and 10 a.m. to 12 a.m. (Saturday). Luna's combo of brick walls and woodwork interiors, coupled with its relaxed vibe, easily distracts one from the busy-ness of the Bonifacio Global City district: It feels like a space where you can hie off to and forget about deadlines or meetings and nurse a cup or two for hours. Whether you decide to park yourself by the coffee bar or sit at the veranda, it's incredibly easy to lose track of time while you're here (a situation you'd welcome once you sit down with your coffee cup). Must-try: Get the White Rabbit Candyccino (P140)! 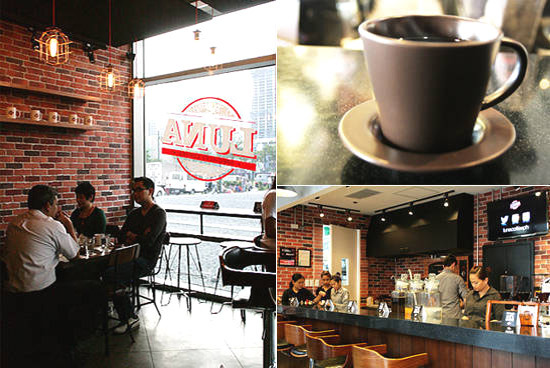 Luna Specialty Coffee is at NAC Tower 32nd Street, Bonifacio Global City; open from 7 a.m. to 12 a.m. (Monday to Saturday).